Do You Need Glasses for Night Driving? Do you prefer someone else to drive on a night out on the town? If you said yes, you are not alone. You probably already know if you have a tough time driving at night, but what you might not know is the severity of your night blindness. 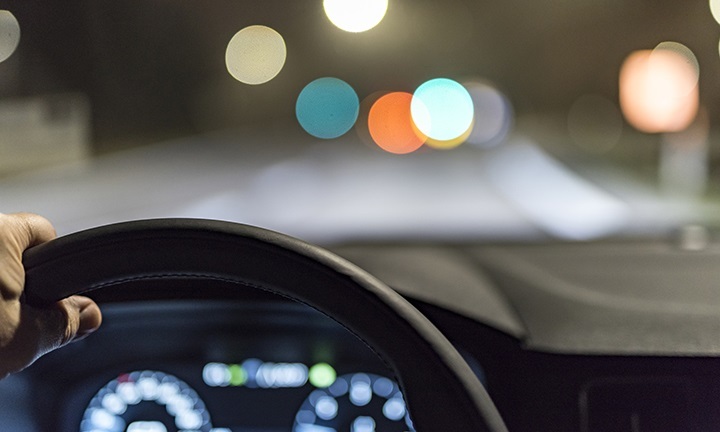 The vision strain from driving at night can cause your current vision problems to worsen. Night blindness, or nyctalopia, is caused by an issue with the retina. The retina is the part of the eye that allows you to see in low light. When the retina becomes damaged, dark pigment collects in the retina and creates tunnel-like vision. This can make seeing and especially driving in the dark difficult. There are several things that can cause night blindness. Clean your windshields often, including the rear-view mirror and wiper blades. Clean your headlights. This increases the amount of light being emitted by half. Ask your eye doctor about anti-glare coatings for your glasses. You Experience Eye Fatigue: Driving at night forces the eyes to work much harder than in the day. There are plenty of reasons for this. For example, the pupil shrinks during the nighttime. This allows less light to enter the eye compared to the amount let in during the daytime. Another is while driving at night, your eyes are adjusting back and forth from light to dark. This can be caused by the shining of headlights from oncoming traffic and then having to adjust back to the dark roads. This is impossible to avoid, but there are some things you can do to reduce the strain. Avoid looking straight into headlights of oncoming traffic. Don’t focus on one object for an extended period. Give your eyes a break. Plan reoccurring stops especially during a road trip. You Experience Backseat Drivers: If you find that your friends are correcting your driving skills more than they used to when driving at night, it is probably time to consider scheduling an appointment with your eye doctor. Even the small adjustment of adding driving glasses to your car can fix and prevent vision damage. If you are concerned about night blindness, schedule an appointment with your VSP network doctor.